Congress President Rahul Gandhi met with the RJD supremo who was convicted in several cases related to the Fodder Scam. 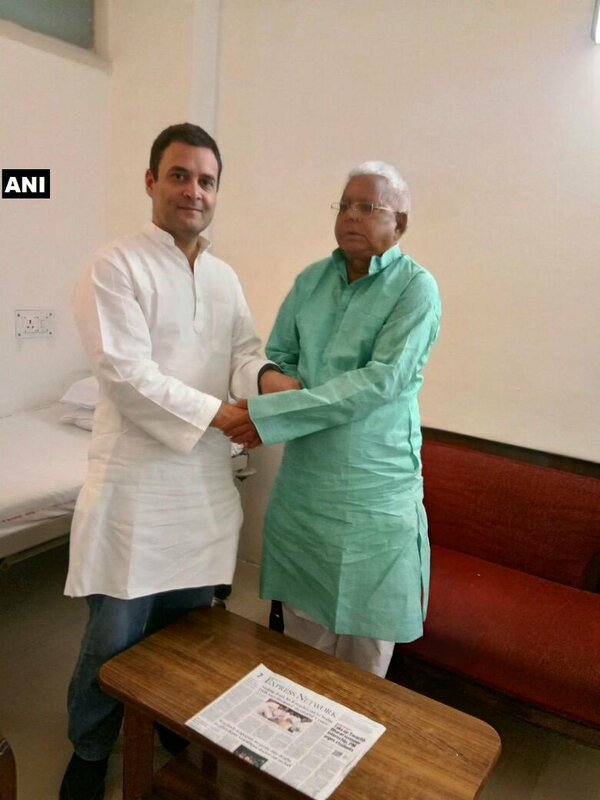 While Rahul Gandhi has suddenly hijacked the issue of corruption, it was intriguing that he chose to meet and greet a convicted felon. As Congress President Rahul Gandhi met with Lalu Prasad Yadav, RJD workers vandalized AIIMS and ransacked the Emergency Ward protesting against the hospital’s decision to discharge him. Lalu’s supporters created a ruckus alleging that there was a conspiracy to “murder” their leader by “forcing him out” of the premier hospital. According to PTI, hospital sources have alleged that during the ruckus, supporters broke a glass door and abused security guards and administration officials. Lalu himself got into an argument with the Police at the New Delhi Railway Station after being discharged from AIIMS. He had also suggested that the authorities were working under political pressure and the decision was motivated by political concerns. Since then, AIIMS has filed an official complaint with the police that miscreants misbehaved with their staff while protesting over their decision to discharge Lalu Prasad Yadav. However, as we had reported earlier, Lalu Prasad Yadav was displeased at the decision. His party MP Jai Prakash Narayan Yadav was under the impression that AIIMS was acting under pressure from central agencies like the CBI. “It seems there is a conspiracy to murder him. Why they are discharging him when he is not fit yet,” said Yadav. Lalu Prasad Yadav and his family have been paranoid ever since that conspiracies were being hatched by the BJP and Nitish Kumar to murder Lalu Prasad Yadav and Tejashwi Yadav.